In these features we aim to bring you, dear reader, something amusing and hopefully somewhat enlightening to read. Essentially we're going to do a series of lists that include artists you might have heard of before and some that are new. Every two weeks we will strive to bring you something new and interesting to read, all in an easy-to-digest list format. Upcoming features include our top ten songs to feature the accordion, top something demos we've ever received at rawkstar.net, top covers, and so forth. This first feature concerns a principle that has been with music for centuries, the art of storytelling. It is perhaps widely accepted that in those days of yore, travelling minstrels would do what they did (travel, that is) and spread news, stories and folktales through the medium of song. Although this trend has died down somewhat in latter years, with dubiously entitled artists asking you if you wished your girlfriend was a freak like ex-strippers and smiliarly, there are still some groups and artists holding up a beacon for the old traditions. In this little thing we'll highlight some of our favourites. In running order, as well. It does occur to us that we might miss some bands out, so don't come running with tears in your eyes shouting "Oh my god, why didn't you add this and that band?!" We're not on crack, nor are we adding The Fall. At the end of the day, these lists are composed for fun and shouldn't be viewed as an attack on anyone's tastes, as that is apparently libellous. 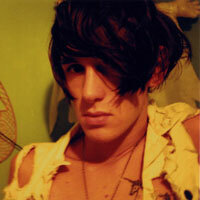 Patrick Wolf is perhaps not what everyone would think of as a storyteller. His somewhat strange yet beautiful lyrics often concern personal events, mixed with the fantastic. Possessing a rare talent and voice that has no match these days, Wolf is the closest thing you'll come to a minstrel in these modern times. A player of violins, accordions, harpsichords, you name it, Wolf seemingly lives and breathes through his music. Through his two current albums he's spun tales of trips to Cornwall, abusive relationships, society at large, you name it. 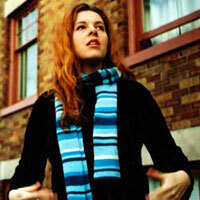 Neko Case might ring a bell with fans of Canadian punkpoppy outfit The New Pornographers. Her own material, however, is firmly rooted in country traditions (or alternative country, if the term 'country' makes you feel uncomfortable). The songs have roots in literature as well as her imagination, with focus often being put on the fates of the characters at hand. Imagery plays an important role, particularly on Case's latest effort "The Fox Confessor Brings the Flood". And a thousand sensitive boys' hearts just broke in a thousand sensitive pieces. 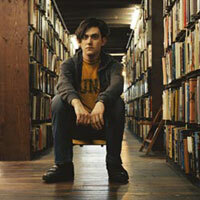 Conor Oberst's Bright Eyes have for several years been an outlet for his rather emotionally torn songs. Whilst Bright Eyes' earliest albums and songs generally dealt with very personal themes of, well, heartbreak and drinking (and more heartbreak and then some more drinking), the later albums are written with much more depth and consideration. "I'm Wide Awake It's Morning", released in 2005, contains stories set in an urban environment with the aggressive political mood as a distorting backdrop. The music has evolved too, from being a boy with a beaten up acoustic to a band that masters most instruments with a certain expertise. All in all, this makes for some tantalising listening, and can only be recommended again and again. 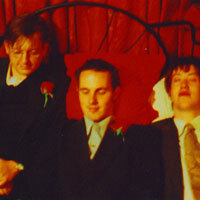 Leeds' ...TRAiNS deal in massive, slow and darkly gorgeous music. Starting slow and "glacial", their songs have a tendency to end in a glorious cacophony that is pretty much unmatched by most similar bands these days. However, their songs also tell stories of tragic endings, of failed trips to the South Pole, of suicides that went wrong and other things. The most appealing thing is perhaps that the songs are rooted in actual events. Their latest EP (at the time of writing), "Progress - Reform" is full of fact-rockingly good tracks about chess players, railways and sad, sad fates. Key tracks: "Terra Nova", "The Beeching Report"
This cult-status band only ever did a few releases before they entered indefinite hiatus in 1998. Their second album, "In the Aeroplane over the Sea" has now become one of those classic albums you'll hear a lot of other bands list as an influence, and with good reason. "In an Aeroplane..." contains the stories of (allegedly) the sad endings for a Jewish family during the Second World War. Vocalist Jeff Magnum is noted as having said the concepts came to him through recurring dreams that led him to write the album. The band used every instrument they could get their hands on, from Theremins to saws to accordions and brass sections. It all came together notably well on "In the Aeroplane..." to create a quite heavy, droning sound that drew on a definite folk rock influence, but mixed with elements of the day's alternative rock scene. "In the Aeroplane over the Sea" is one of those albums you should hear, if only to have taken a peek into Jeff Magnum's world in which the beauty in everything horrid is revealed through the joyous melodies Neutral Milk Hotel pour out of their instruments. Key tracks: "The King of Carrot Flowers Pt. 1", "Two-headed boy", "Communist daughter"
For many, The Decemberists are what Neutral Milk Hotel opened for, in a way. There are similarities, most notably in the fact that both bands possess vocalists with very unique voices, and they both use uncommon instruments in a folk rock setting. Additionally, they both spin stories in their songs, but there the similarities end. 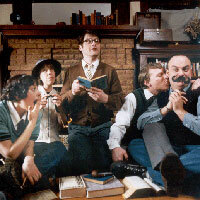 The Decemberists are one of the most proficient storytelling acts active today. According to legend, the bandmembers met in a Turkish bath, sharing their plight, and at that moment The Decemberists were born. Their songs detail some of the most elaborate adventures you could imagine being squeezed into songs that usually don't even hit the five minutes mark. Decemberist vocalist, Colin Meloy, has a grip on the written word that is captivating and mixed with the lovely melodies the band creates things happen. Over several albums The Decemberists have given listeners stories about trapeze artists in France, Billy Liar who is a bit of a voyeurist, Eli who died poor but still drags his barrow, and of the mariner who meets his nemesis in the gut of a whale. The Decemberists' universe is one of wonder and marvellous tragedies set to some of the most pleasing indie rock music you'll find. Also, accordions never sounded that cool until The Decemberists picked them up. Key Tracks: "Billy Liar", "The Chimbley Sweep", "We Both Go down Together", "The Mariner's Revenge Song"
Apparently the Okkervil River is in Russia, and gave its name to a band from the east coast of the USA some time in the late 90s. Musical influences range from Leadbelly to The Stanley Brothers, placing the band well within that wonderful grouping of rock bands that actually use the mandolin to great effect. Laden with enough country twang, vocalist Will Sheff spins some great stories, many of them murderously dark and outright frightening. An early example would be "Westfall", a song in which the protagonist kills a girl he doesn't know. "And when I killed her, it was so easy that I wanted to kill her again", the lyrics go. Okkervil's themes surround the darker sides of emotions with death, dreams, and unrequited love being central subjects, all mixed with a sense of "do or die" philosophy. 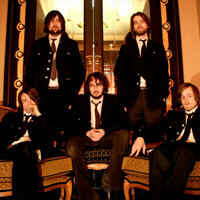 In 2005, Okkervil River released their third album, "Black Sheep Boy". An effort greater in scope than any of their previous albums, it deals with several themes. Examples would be our conceived perception of reality, of birthright, and of death and sadness and failed love. Additionally, the songs are beaten out with such passion it is a joy to listen to. There's "Black" with its keyboard driven story about abuse and the desire for revenge, on "So-called friend" Sheff laments unrequited love and on "A Glow" the listener is taken into a murderous embrace of a lover slash killer. At the centre of the album stands the character of the "black sheep boy". Originally the title of a Tim Hardin song (a cover of which opens the album), this boy in question is used as vessel for the idea of, perhaps, escaping one's social fate. Throughout the songs, the black sheep boy appears again and again as the album's tragic character who's trying to escape what has been set upon him. 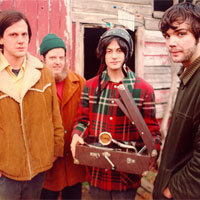 Key Tracks: "Black", "A Glow", "Okkervil River Song", "Westfall", "The Velocity of Saul and His Conversation". 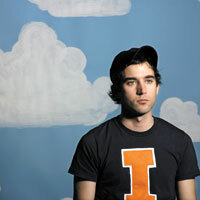 Sufjan Stevens should be a name familiar to most by now. Multi-instrumentalist Stevens has for some time battled the monumental task of writing an album for each of the 50 states of the USA. So far two states have been chartered by Stevens and his band of flute-playing, all-singing, piano-bashing ensemble (last picture I saw they were all wearing matching t-shirts as well), Michigan and Illinois. The latter, an album called "Come on, Feel The Illinoise" won several awards in 2005 for being the best album of the year, etc. In this context that's a bit irrelevant. Because the relevant thing is that Sufjan Stevens have made a couple of albums that shine bright with a multitude of different stories, both fictional and real. Whereas the songs rarely concern the states as a whole their focus often falls on individuals and singular experiences. "John Wayne Gacy, jr" is a good example, as a quiet and moving song about the serial killer who was a highly regarded man in his neighbourhood, yet killed an unknown amount of young men. Stevens' imagination stretches far beyond that, however, to include songs about rivers, about UFOs and a multitude of other things. Whichever state Sufjan Stevens tackles next, it is certainly going to be a strangely down-to-earth affair, albeit one played out through about 30 instruments (all manned by Stevens himself). Key Tracks: "Come on, Feel the Illinoise! ", "John Wayne Gacy, Jr." "Detroit, Lift Up Your Weary Head!" Tom Waits is one of those artists you remember. To some he might appear as a crazed, over-zealous bishop from the southern states, but no bishop ever had a voice like that. Waits' croon is part whiskey, part shaman, part road. Someone once told this writer that he could remember the first time he heard Tom Waits like it was yesterday. It happened near midnight on a Tuesday back in the mid-90s or so. He had fallen asleep next to the tv, when a voice murmured "What's he building in there?" in such a way that he woke up. The spoken word track of the neighbour that is building some kind of infernal machine in his basement is a glorious testament to just how brilliantly scary and riveting things like this can be. From the story of the prying eyes of the neighbourhood to dark shanties about going to Singapore, Tom Waits have weaved many a story of queer characters and too much whiskey. Themes too many to mention have been covered by the crackling Mr. Waits, over too many albums to mention. One favourite is "Rain Dogs", an album that at the time broke through the mould of the horrid 80s synth-based electropop. Using oil barrels, shoe boxes, broken instruments and that voice, Waits created something unique. There are drunken sailors, deadly tangos, pianos that are broken but still being played by devils from hell. 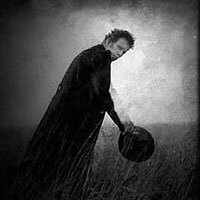 Tom Waits doesn't create stories, he creates little worlds, and it takes so little to just plunge in. Key tracks: "Singapore", "What's he building in there? ", "The Piano's been drinkin'", "Tango 'til they're sore". "Joy had been bound with electrical tape, in her mouth a gag, she'd been stabbed repeatedly and stuffed into a sleeping bag. And in their very cots my girls had been robbed of their lives. The method of murder was the same as my wife's", intones Cave on the aptly titled 'Song of Joy', the opening track from his 1996 album, 'Murder Ballads'. This album was to become Cave's biggest commercial success, and contained some brilliant little stories, all about murdering and killing and all those things. The album also spawned the chart hits "Where the wild roses grow" and "Henry Lee", duets with Kylie Minogue and PJ Harvey respectively. However, some of his best literary work is to be found on some earlier releases. There is the nervous monologue of the man on death row, who claims to be ready for death, but is still shaken ('The Mercy Seat'). In 'John Finn's Wife' we are treated to the story of a wedding gone horribly, horribly wrong and his entire "The Good Son" album is run through with quite powerful imagery, as well as some glorious songs. And a video in which Cave and guitarist Blixa Bargel perform the best dancing ever featured in a video that is basically a narrative of two grown men rowing a boat. Nick Cave started his career in his native Australia, singing in The Boys Next Door, a post-punk outfit that eventually changed their name to The Birthday Party and moved to London. The band quickly gained a reputation for 'wild' live performances, and the band's drug use became quite apparent. 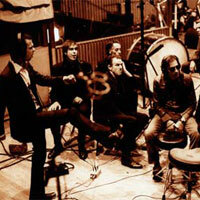 However, as the late 80s rolled around, Cave and co had set up shop as Nick Cave and the Bad Seeds. Cave's approach to writing changed with his position. In The Birthday Party the songs had been somewhat introverted and personal. In the Bad Seeds, a stronger narrative and a wide selection of characters were put into play. Starting with their first release, "From Her to Eternity" to the more recent "Abattoir Blue/Lyre of Orpheus", Nick Cave and the Bad Seeds have been writing some of the more exciting stories in contemporary music. "Papa Won't Leave you, Henry" starts off with a man talking about how he went out walking the other day, then drifts onto the subjects of people being shot, apocalyptic floods, brainless babies and other light shy subjects. The song starts off the "Henry's Dream" album, reportedly the object of Cave's shame and disgust, but also the album that features some of the most accessible tales Cave has ever written. It is, perhaps, the album that sums Cave's stories up in the easiest way - all heat, religious imagery, madness and murder. Cave comes highly recommended. Key tracks: "Tupelo", "Mercy Seat", "Let Love In", "Do You Love Me", "Red Right Hand", "Stagger Lee", "Straight to You", "Into My Arms", "I had a dream, Joe", and the list just goes on and on. Sample lyric: "It's the rainy season where I'm living. Death comes leaping out of every doorway. Wasting you for money, for your clothes, and for your nothing. Lynch-mobs, death squads, babies being born without brains! Visit the iTunes music store to download a selection of the key tracks. Comments Disabled for this feature.